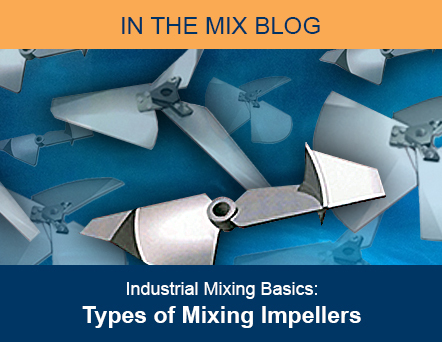 In part one of our blog series on types of mixing impellers, we look at the characteristics common to all industrial mixing impeller designs and a list of ProQuip high performance mixing impellers based on shear and viscosity. 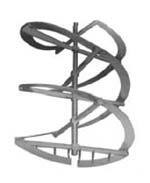 The impeller is a key component of industrial tank agitator design. 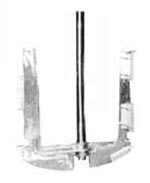 In technical terms, an industrial tank agitator describes the “application of mechanical motion in order to create fluid dynamic effects that achieve the desired process results.” More simply stated, a tank agitator uses a mixing impeller(s) rotated in a vessel to create the desired fluid dynamics. Flow Pattern: The flow pattern is a description of the movement of the fluids in a mixed vessel created by the rotation of the mixing impeller. Impeller Power: The power required to run a specific impeller with a given diameter at a given speed. Fluid Pumping Rate: The volumetric discharge rate of an Impeller operating at a given speed, measured at the Impeller. Fluid Velocity: The vector quantity of the rate of change of position for the liquid. 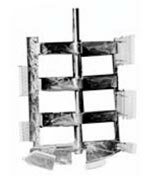 Fluid Shear: As applied to liquid mixing, it is that portion of the applied power which appears as turbulence, recycling drag on the blades, etc. It is the action which produces intimate mixing on a microscopic and molecular scale. 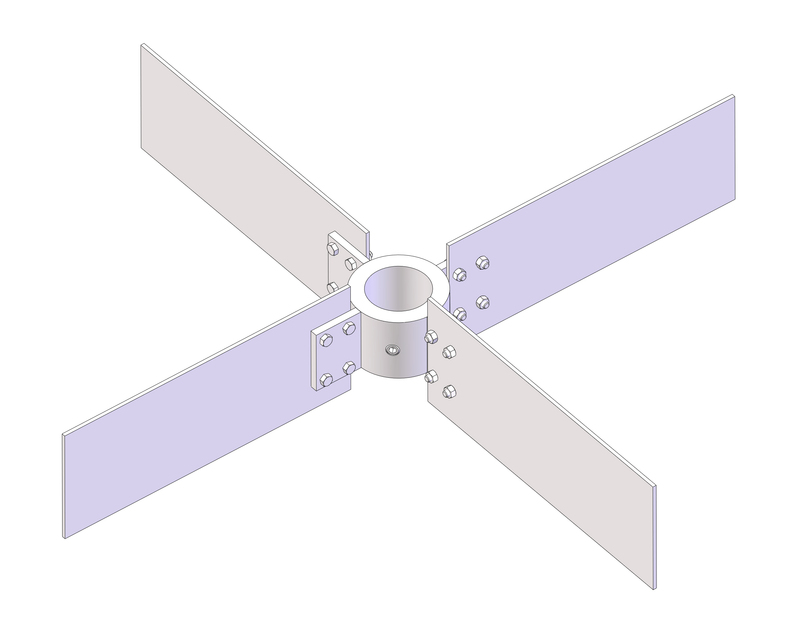 A general classification of mixing impellers is based on their characteristic of flow and shear. This relationship is used since all of the power a mixer supplies to a fluid produces a combination of flow and shear as illustrated in the following graph. 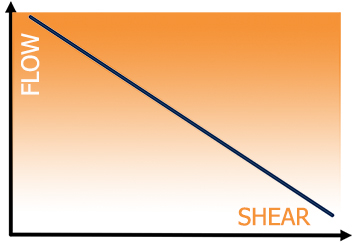 Flow and shear are inversely proportional. Knowing the flow and shear characteristics of your mixing process is critical in impeller selection. ProQuip offers a wide variety of high performance mixing impellers classified by shear and typical application for process viscosity. For more information about the right mixing impeller for your application, email applications@proquipinc.com or call us at 330-468-1850. Part two of our blog series on mixing impellers takes a closer look at mixing impeller flow patterns. Sign up now to get the latest ProQuip news and information delivered to your inbox. Yes, I Want Email Updates!